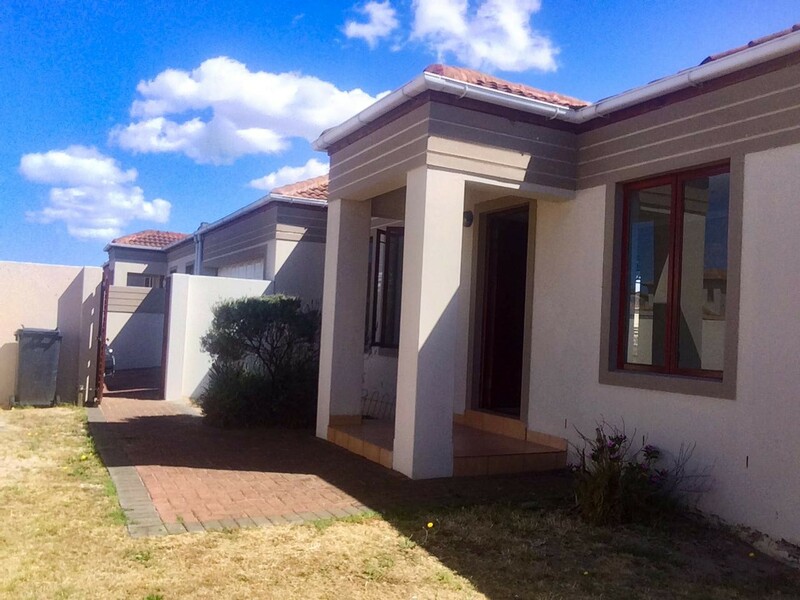 This modern 3 bedroom home with double garage has 2 great bathrooms main en-suite. The main bedroom opens onto the garden and shaded patio. It has loads of cupboards and wooden flooring. Further 2 bedrooms share a full family bathroom. The living area is open-plan to a granite kitchen with place for 2 appliances. The lounge opens onto the shaded patio and larger than a normal garden with plenty of space to play or for dogs or a pool.